Sometimes a body just has to get away. The golf course community we live in during the winter is a wonderful place with many amenities, the manicured golf course, streets lined with palm trees, and flowers blooming on every street corner. It’s a paradise, but it isn’t real. The trees grow in neat rows, mounds of bright impatiens are planted each year and uprooted before they wither, an army of groundskeepers mow the grass and trim bushes into hedges. Yesterday I escaped that tamed landscape. While on a golf outing to Sebring, FL we stopped by Hammock State Park. Its old growth forest and lush wildness took my breath away. Sebring has been a tourist mecca since George Sebring built a luxury hotel over looking the lake in 1914. 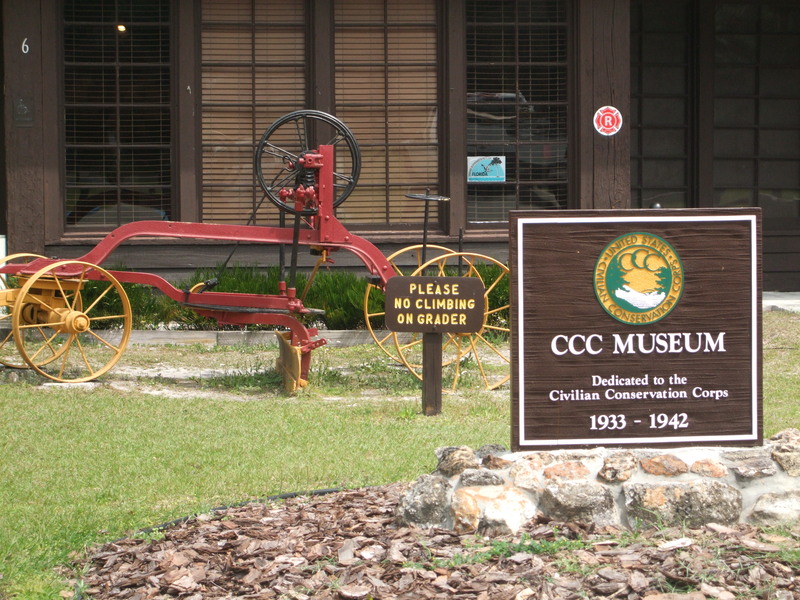 In 1931 the CCC or Civilian Conservation Corps designated a area outside Sebring as a work camp for young men who needed jobs. They build roads, bridges, and dams. In 1942 when WWII loomed, the Depression ended, and the CCC disbanded, Florida merged a local park with the CCC land and designated the area as Hammock State Park. The camp and thousands of surrounding acres were saved from being overrun by developers. 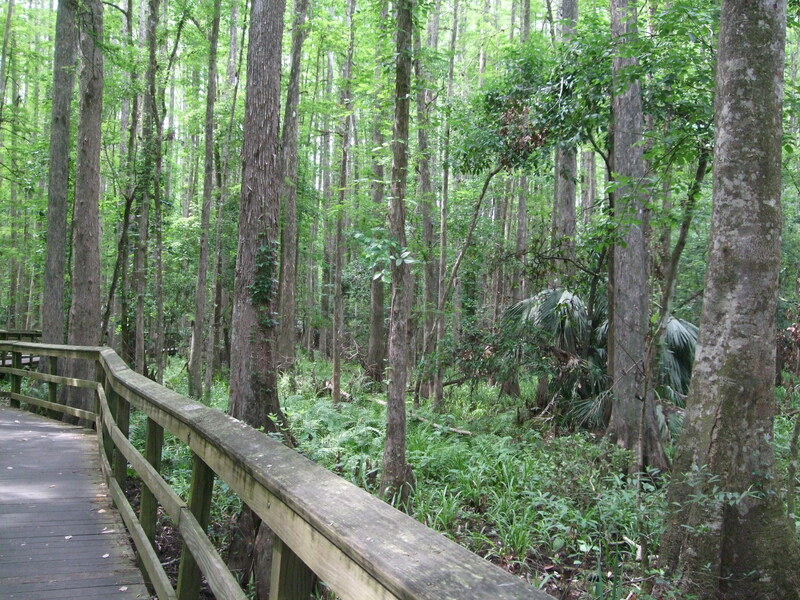 The forest in Hammock State Park is a jungle of the biggest palms, cypress, and live oaks that I have ever seen. The most prominent oak is thirty-six feet around and 1,000 years old! Spanish moss form curtains in the branches, blocking out much of the sunlight. 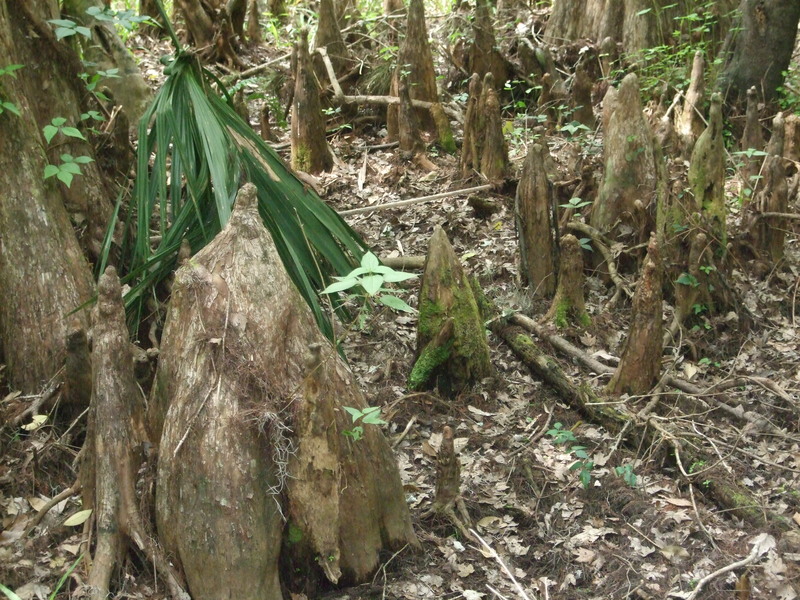 Four-foot cypress knees, as solid as fire hydrants, anchor a forest of towering cypress into the swamp. 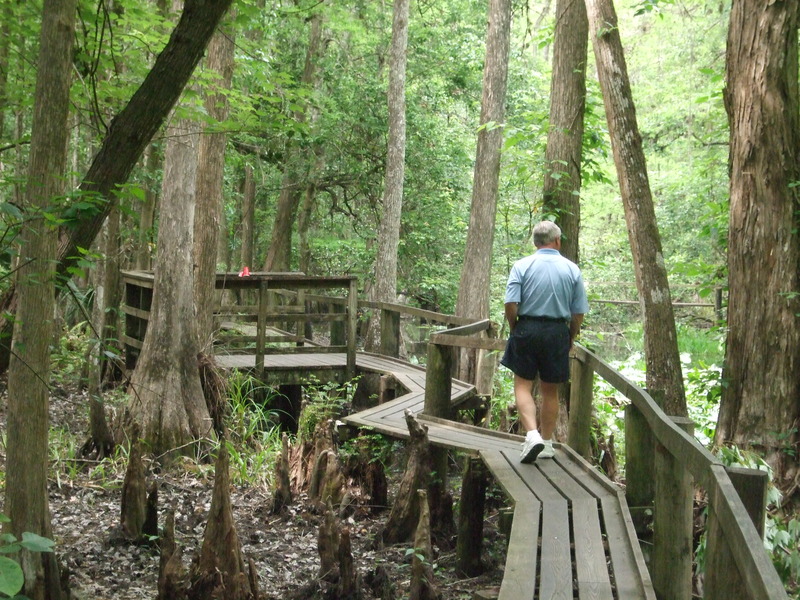 A narrow boardwalk with a railing on only one side dares you to venture into the prehistoric domain of alligators and tropical snakes. No landscaper has ever used a weed wacker in that wild place. I love it. Six-Mile Cypress Slough in Fort Myers (which is the setting for my current work-in-progress novel, Gator Bait) is a wonderful place, but it’s too manmade and can’t compare in age or wildness with Hammock State Park. The raw nature thrilled me. I hope to get back there some day and spent more time exploring a patch of Florida as it looked before Columbus.